What makes a book real? The book cover, of course! It’s a year today that Undercover Star came out and I’d been hoping to release the sequel, StarStruck, exactly one year later. Unfortunately, real life had other plans. From a destroyed laptop, to a website that needed an emergency rebuild, to a family emergency and a flooded living room, this year hasn’t quite turned out as I’d hoped. Josh and Matisse are only two thirds through their story. So… unfortunately, no release day. 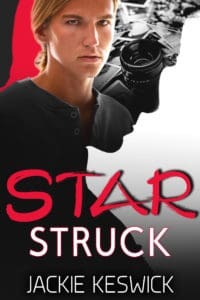 There’s no reason I can’t show off the book cover for StarStruck and give a shoutout to Emma Griffin, the designer who created the covers for both Undercover Star and StarStruck and, incidentally, the Shades series. Not just because covers are important, but because I truly love all of mine. For me, it’s the book cover that turns a book from something I fiddle with to something real. And I’ve been known to order a book cover early to encourage myself to finish a story. And since graphic design is witchcraft to me, the process that turns my notes into a cover fascinates me. I need a detective, a rock star and a medieval locket. Could you do something with a workaday sword, a stone circle and a solar eclipse? I’d really love something warm and sensual. Yes, these are all requests I’ve thrown at Emma Griffin, and I’m glad she didn’t throw them right back. I’m also glad I wasn’t around when she opened my emails. 😉 So how does Emma come up with cover ideas and how does it all work? Well… she agreed to answer some questions for me. How long have you been creating covers? I’ve been a designer for 8 years but only started creating covers about 3 years ago. A friend of mine asked me if I’d be interested in doing a cover for an author friend of hers, and I’ve been doing that ever since. Do you work with music or does it irritate you? Definitely work with music! Otherwise I get distracted by every little noise – neighbor, bird outside, my dog. Music keeps me focused. Your favourite genre to create cover art is? Why does it appeal to you? I’ve been doing some fantasy covers lately and I really enjoy it. Mostly because I love the genre myself. Books, videogames, movies, boardgames, you name it. I used to dream of doing illustrations for videogames in my teens. What’s your biggest challenge as a cover artist? Not finding the images I need. I work with stock websites, and sometimes I have an idea in my mind but have no luck in finding the right images and I have to change the cover concept because of this. It happens pretty rarely fortunately, but when it does it’s really frustrating. Is your ideal client an author who knows exactly what they want or someone who only has an idea? It depends on the client really. If they only have an idea it gives me more space for creativity. But on the other hand, one of my favourite clients always knows exactly how the cover should look like and it is a very smooth and fast process because I know exactly what to do. Always trainers. I walk a lot, I don’t understand how some women can walk all day in heels. I choose comfort. I’m also into photography and drawing, I just go out shooting, I draw or hang out with our dog. If you could have any job in the world, would you do what you do now? I love what I do! I just want to get better and faster at this. I’m currently planning a vacation to Tenerife, so I’m dreaming about that. And because I can never leave the food out of anything: your favourite dish / ingredient and something you absolutely hate. I love freshly baked BREAD! And pastries, avocados, I could go on and on, I’m a giant foodie (a vegetarian one) 🙂 ! I can’t stand milk though. I can have it in coffee or in other foods, but just plain milk is a big no. I choose coconut or almond milk instead. And finally, what kind of services do you currently offer for authors? I currenly offer ebook covers, print covers, premades and websites. For custom orders, we first agree a deadline. Then I ask for some details about the book – in most cases, authors have an idea about how the cover should look like and we go from there. Once I get all the info I need, I’ll tell you the final price and if everything is okay I start working on it. You will receive the cover a day or two before the deadline, in case revisions are needed. I’m planning on adding a shop to the website in the future, for an even smoother and faster process. You can find Emma Griffin at https://www.emmagriffin.design/. Go check it out! I love the covers Emma has created for me and can attest that she’s a joy to work with. And while I don’t have a new release just yet, I’m making up for it by putting Undercover Star on sale on all amazon stores for the weekend! Get it for 1.49 instead of the usual 3.99, and make sure you admire Emma’s cover while you’re about it. 🙂 Happy Thanksgiving! A lonely detective. A frustrated pop star. Neither expected romance to be on the playlist. Lonely, frustrated and buried in work, Detective Inspector Josh Ingram never expected a new partner. Nor does he have any idea why he’s forced on a stakeout with a pretty-boy pop idol. As they work together to stop an art thief from robbing an exclusive charity gala, Josh learns that opposites attract… and repel. Matisse Vervein never got comfortable with stardom. He hasn’t even shown the world who he truly is by coming out of the closet. 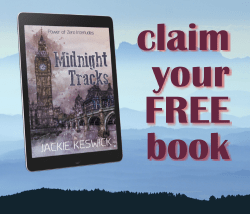 But when he’s reluctantly thrown together with a prickly detective, Matisse finds himself dealing with his own prejudices and their simmering attraction. 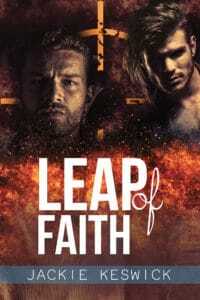 When the thief slips through the partners’ hands, Josh and Matisse must take up the chase together. As their mutual resentment dials up, so does their passion. To catch the thief and have an honest chance at love, the unlikely pair may have no choice but to come clean and trust their feelings. Buy Undercover Star to discover a runaway romantic romp today! Oh I missed the sale!